The more the sun shows its pretty face, the greater our desire is to go outdoors. The sun lifts the mood and is good for the soul. However, it also strains the skin, causing itchiness and tightness. 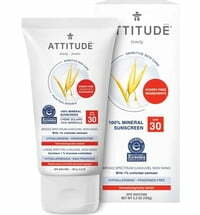 Therefore, after sun care is so important in addition to actively protecting the skin against the effects of the sun. Too much exposure to the sun results in sunburn. We have all experienced sunburn or are bound to experience it along the line. But what causes sunburn? When exposed to the UVB rays for an excessive period of time, it causes damage in the DNA of the skin cells. The skin cells are damaged, leading to an inflammation of the subcutaneous tissue. UVA radiation also has the same effect, although it takes longer until this effect unfolds. Since UVA rays penetrate deeper into the skin, "only" the collagen is damaged, which reduces skin elasticity, leading to wrinkles. Sunburns resemble first and second-degree burns. Redness, the sensation of heat on the skin, itching and pain occur. The symptom peak is reached after 12 to 24 hours. It takes another three to seven days until symptoms have completely subsided. But even when sunscreen is used and sunburn was prevented, the skin is not in the best condition after sunbathing. The sun, the wind and the heat dries out the skin. There is a lack of moisture and wrinkles may occur. After sun care products that help with the regeneration and self-healing powers of the skin are just as important as a resting period of at least twelve hours. The shins, as well as the forehead, nose, chin, cheeks, shoulders and décolleté, require special care. When choosing after sun care products, it is important that they moisturise the skin. They should also be free from additives. Perfumes and parabens irritate the already stressed skin. The regeneration of the skin and the regulation of the moisture balance should be in the foreground. Using hydrolates during summer is practically a must. When applied to the skin, they provide refreshing, cooling and relaxing effects. They are well suited for children. The use of Aloe Vera in skin care has long been a concept. The ingredients of this plant are perfect for the after sun care. They moisturise and are anti-inflammatory and wound-healing. After extensive sunbathing, it is advisable to first go into the shade or take a shower. Lukewarm water is best. Hot or cold water shock the skin and can delay recovery. Dab the skin dry with a towel. Do not rub dry to avoid irritation. "Care from within", i.e. proper nutrition also plays a major role. 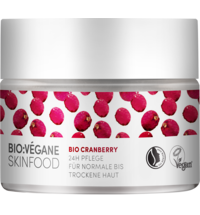 Fruits and vegetables that contain vitamins and phytochemicals help with the regeneration of the skin. Carrots, for example, compensate for the beta-carotene content of the skin. The more you expose your skin to the sun, the more liquids should be consumed, as fluids are lost through the skin. Finally, a special tip: coconut oil not only tastes excellent but also offers a cooling effect. Due to its vitamin E content, it also soothes the skin. Since it also penetrates into the deeper skin layers, it is good for people with dry and chapped skin. Coconut oil regenerates the skin, preventing wrinkles.